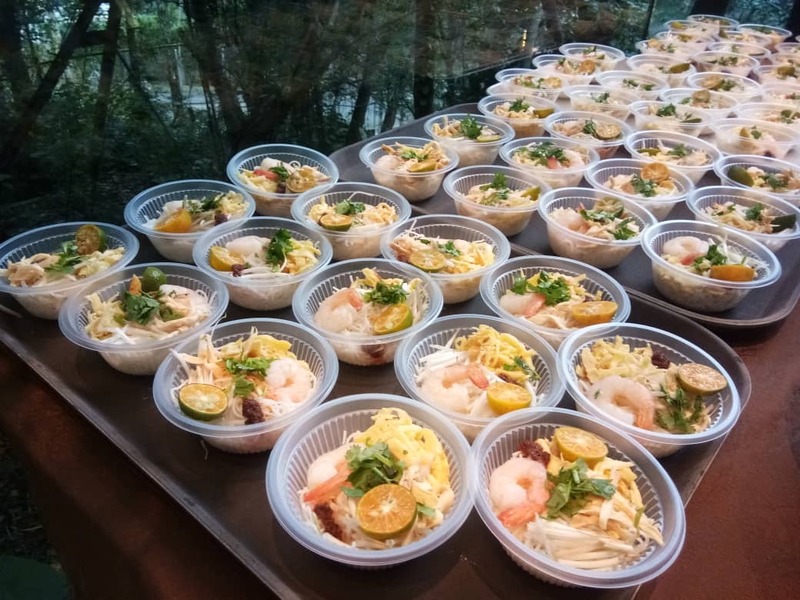 Coined as “A Sarawak Adventure in Hong Kong”, the event took place at the Asia Society in Hong Kong (ASHK) on January 12 and 13 to a great reception by the Hong Kong public, especially the cooking demonstrations. The cooking demonstrations included dishes such as Sarawak laksa, which was coined as “breakfast of the gods” by the late Anthony Bourdain, ayam pansuh or chicken cooked in bamboo, terung asam soup made from a vegetable only found in Borneo scientifically known as Solanum Lasiocarpun Dunal. Other food demonstrations where visitors could watch the preparation of the food included the ‘linut’ a Melanau dish made from fresh sago flour, ‘tumpik’ a Melanau pan-baked sago and coconut pancake, ‘serunding halia’ or floss made from finely sliced and fried ginger with Malaysian anchovies and ‘senape’ a Kelabit dish of glutinous rice cooked in an ‘isip’ leaf. The “Sarawak Adventure in Hong Kong” also featured art, music, nature and culture of the state in the form of demonstrations and performances. The display and selling of crafts from groups like the Penan Women Project also took place, with woven, beaded and carved designs of the indigenous Sarawak people attracting lots of attention from passers-by. There were cultural dance workshops featuring dances like the ‘ngajat’ and ‘alu alu’ which is a bamboo dance of the Melanaus, blow pipe demonstrations and Orang Ulu ‘sape’ or Boat Lute workshops, a ‘gasing’ or Malay top-spinning demonstration, and a live demonstration of traditional Bornean tattooing. There were also video screenings of Sarawak’s many attractions and talks led by Sarawak tourism industry players, on the various wonders that can be found in Sarawak’s nature and festivals, as well as displays of art and photography.